When I posted the tip for cleaning top loading washers, someone asked how to clean front loaders. I have a front loader, and we have been having a smell problem, so I went looking for a solution - and here is what I found! 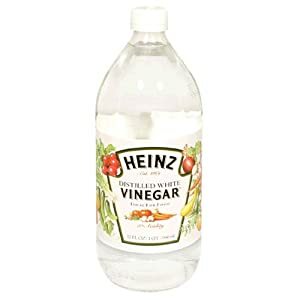 UPDATE: I tried the vinegar today - and it smells much better already. -- Run a long wash cycle with only water and one cup of white vinegar in the washer. Do not use any detergent or place any clothing in the wash.
-- Clean the drain pump filter. This should be done about every two weeks. The drain pump filter can fill up with stinky water over time. -- I noticed that since I’ve been using homemade powder laundry detergent, my washing machine does not get mildew-y as fast. 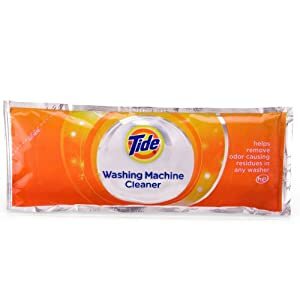 I read that liquid detergent coats the surface and makes it attract more lint and mildew. May be that’s the reason but since I’ve been using the powder detergent, my washing machine hasn’t been as dirty or mildew-y. More reason why I love my homemade powder detergent formula! Kerri Thompson-Dicke posted: I use vinegar as my softener so I never have this problem...it takes around 3-6 washings to get it clean. I switched to homemade nontoxic laundry soap also...after washing clothes 3-4 times clothes had no smell. They say that you clothes hold dirt from all the suds that is in normal commercial soap but the artificial fragrances disguise it. Jenni Evans Froelich posted: I had this problem after I went back to regular detergent after using homemade ( I have a top loader). I couldn't figure out if it was the dryer or the washer. We determined it wasn't the dryer and so I tried cleaning the washer with all these methods. I finally broke down and bought HE cleaner from WALMART and had to clean my machine 3 times to get the smell out, although the washer didn't smell it was just the clothes after they'd been cleaned. Don't know if it was the homemade detergent or just that my washer is getting up there in years and needed a good cleaning ( I have cleaned it before).